of gem quality diamonds it is not the value leader. 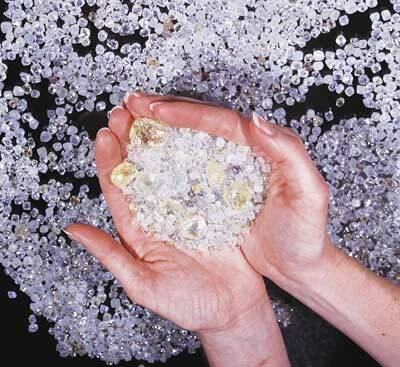 It does produce 90-95% of the world’s supply of pink diamonds. Orapa is the world’s largest diamond mine. It us located 240 Km west of Francistown. The mine is owned by “Debswana” which is a partnership between DeBeers and the government of Botswana. This mine operates 7 days a week. It maintains pre primary and primary schools for its employee’s children. There is also a 100 bed hospital and game park. This mine began production in 1971 and is the oldest mine owned by the Debswana Company.